“With the appointment of a new Chairman of the Board of Management, we have laid important groundwork for Audi’s future orientation. As interim CEO, Bram Schot has already done a convincing job in recent months. He is pushing forward with the cultural change in his team and is effectively tackling the current challenges. With the benefit of a strong mandate, he will further accelerate the transformation of the company and lead the Four Rings to new successes,” said the Audi Supervisory Board Chairman and VW Group CEO, Dr. Herbert Diess. Bram Schot will become Chairman of the Board of Management of AUDI AG, which includes Ducati, Lamborghini and Italdesign Giugiaro as well as the Audi brand, on January 1, 2019. Temporarily, he will have Board of Management responsibility for the area of Sales and Marketing. 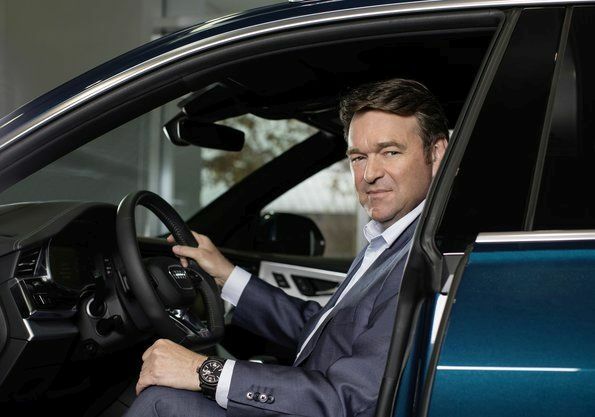 The 57-year-old has been AUDI AG Board of Management Member for Sales and Marketing since September 2017. On June 19, 2018, he was additionally appointed as the Interim Board of Management Chairman. Born in the Netherlands, Bram Schot had previously been responsible for Marketing and Sales on the Board of Management of Volkswagen Commercial Vehicles from 2012 onwards. In 2011, he left his position as President and CEO of Mercedes-Benz Italia to move to the Volkswagen Group, where he was at first responsible for strategic projects in the Group’s Sales division.